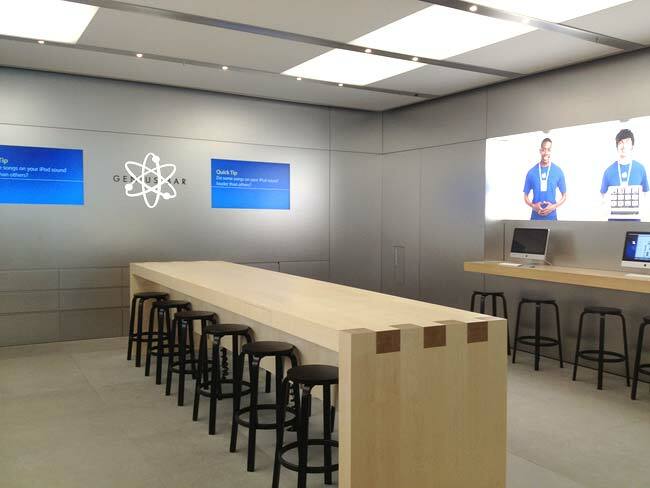 Aware that customers are increasingly making the journey to its stores to purchase the latest iDevice or Mac and to interact with employees at the Genius Bar, Apple has begun testing new Genius Bar layouts in order to increase its capacity. Previously offset from the back wall of a store, ifoAppleStore reports that the Genius Bar (in at least one store) has been turned 90 degrees so it now lies perpendicular to the rear wall, providing twelve chairs for customers instead of seven. 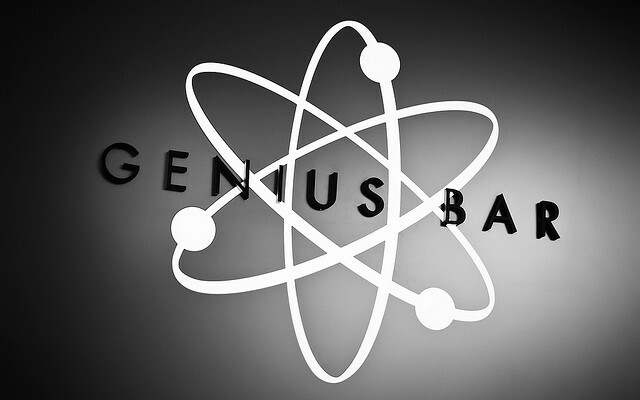 The new layout allows Genius Bar employees to move freely from one side to the other, possibly interacting with more than one customer at a time. This is especially useful for Apple’s Geniuses if they are waiting for a diagnostic test to finish out the back of the store, providing the space for them to either speak face-to-face with a customer or position themselves behind somebody that has brought in a Mac. While it isn’t shown in the photo below, the new Genius Bar location may impact the popular Kids section, which utilises small beanbag style chairs positioned around a low table with a number of iPads attached. With its stores experiencing a higher footfall than ever before, the number of Genius Bar appointments has increased too. The company doesn’t just diagnose and fix broken products, instead taking time to help with the setup and replacement of older devices. The new layout provides an easier way for staff to interact with customers, boosting the number of people that can be seen at one time but also reducing the wait for other customers with appointments.